Should You Remove Dents From Your Car? Throughout your car’s life, it is certain to accumulate a few battle scars. It could be a small ding from an errant shopping cart in the grocery store parking lot or a minor dent from a neighboring car opening their door a little too wide. When we notice these small dents, typically we’re irritated, but we end up forgetting about them. They’re not major and it isn’t like the engine will fall out from this minor scuff. However, dings and dents shouldn’t be ignored. The primary reason to fix dents and dings is for the future. If you ever want to trade in or sell your vehicle, every little imperfection is a little less you will get for it. That being said, dents and dings also tend to add up over time and it makes your car look a little less beautiful each time. However, while dents and dings can be fixed at any time, and we most typically leave them until right before we do sell, you might be paying more than you need to for the repair. Depending on your auto coverage, your insurance may be able to cover the costs of the repair if it was an accident and you act quickly. However, if you just ignore a simple dent and let it go for months or years, you will be forced to pay for the repair from your own pocket. While these repairs are always a quick fix and cheap as far as car repairs go, if you have insurance that covers it, you shouldn’t need to pay simply because you put it off. 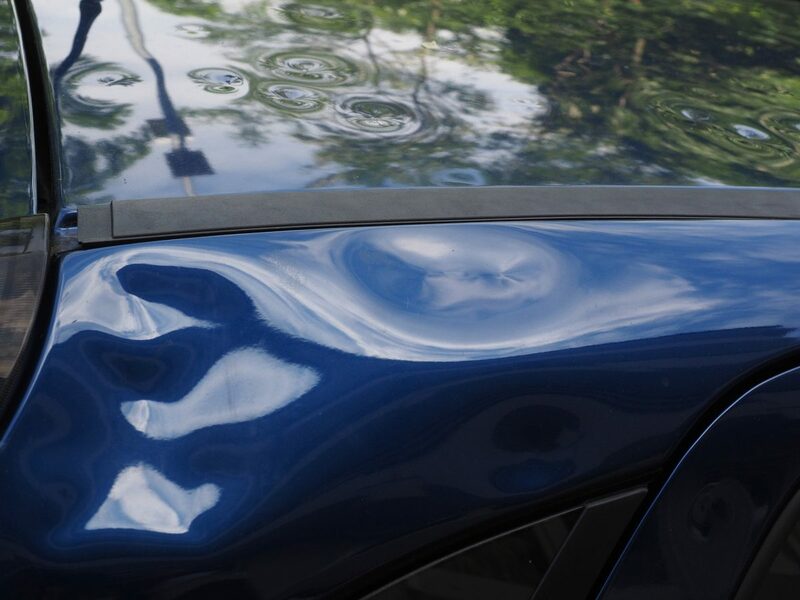 If your car has a dent or even a series of dents, don’t let it linger more than it needs to. After all, all it takes is another bump in the same area to change a simple dent into a more serious one. Instead, contact us today and see how quick and painless dent repair really is. Previous Previous post: Are Small Dents On My Car A Big Deal?